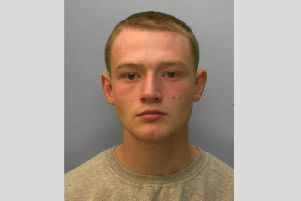 Police have made an eighth arrest in connection with the murder of a young man in Crawley. Detectives have been investigating the killing since they received a report of a stabbing in Watson Close in Maidenbower about 6.53pm on Thursday. Click here to read the original story. Despite the best efforts of members of the public and emergency services, who attempted CPR, the victim – a 20-year-old local man – was sadly pronounced dead at the scene. His next of kin have been formed, however he is yet to be formally identified. A 17-year-old boy from Crawley presented himself to Crawley Police Station yesterday afternoon and was arrested on suspicion of murder. He remains in police custody at this stage, police said. No other suspects are being sought, however detectives are still appealing for anyone with any information about the incident to come forward. - A 17-year-old boy from Crawley, arrested on suspicion of assisting an offender. - A 17-year-old boy from Crowborough, arrested on suspicion of assisting an offender. - A 47-year-old man from Crawley, arrested on suspicion of assisting an offender. - A 20-year-old man from Crawley, arrested on suspicion of assisting an offender and possession of cannabis. - A 44-year-old woman from Crawley, arrested on suspicion of assisting an offender. - A 24-year-old man from Crawley, arrested on suspicion of assisting an offender. Detective Chief Inspector Andy Richardson said: “We have carried out numerous house-to-house enquiries in the area and we are grateful for the cooperation we have received so far. “However, we are still appealing to anyone who saw what happened, who may have CCTV or other footage, or who knows anything about this tragic incident, to contact us. “There will continue to be a police presence in the area as enquiries continue, and we would encourage anyone with any concerns to approach and speak to our officers. “You can report it online or call 101, quoting Operation Horseman. “Alternatively, you contact the independent charity Crimestoppers anonymously on 0800 555 111 or report it online.